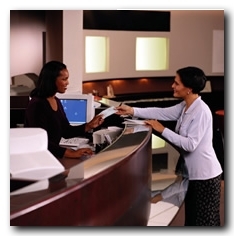 Apex Data Systems, Inc. provides information solutions to the Credit Union industry. Specializing in in-house systems, Apex understands the unique requirements of Credit Unions that desire the control, security and flexibility provided by an in-house information processing solution. Apex has developed strategic partnerships with leading suppliers of computer systems, operating system software and computer-related products and services. Through these alliances, Apex integrates compatible computer hardware with the Apex Credit Union Software to provide a complete information processing solution. Apex currently serves Credit Unions ranging in size from 100 members to over 10,000 members. The Apex solution combines leading-edge computer hardware, complete Credit Union software, training, installation, conversion and continuous support to meet your total information processing needs. © 2019 Apex Data Systems, Inc. All Rights Reserved.